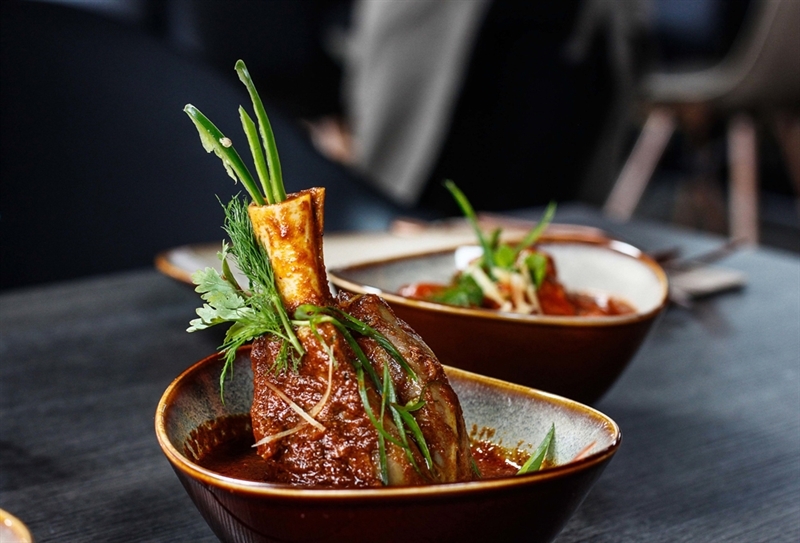 Brigade Goat: leg of baby goat (with bone), tossed with fresh tomatoes, mint, coriander, yoghurt and fenugreek. 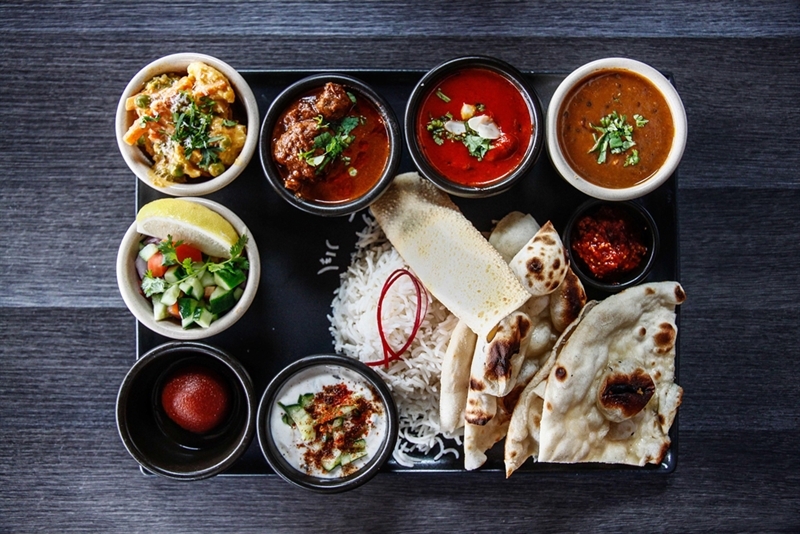 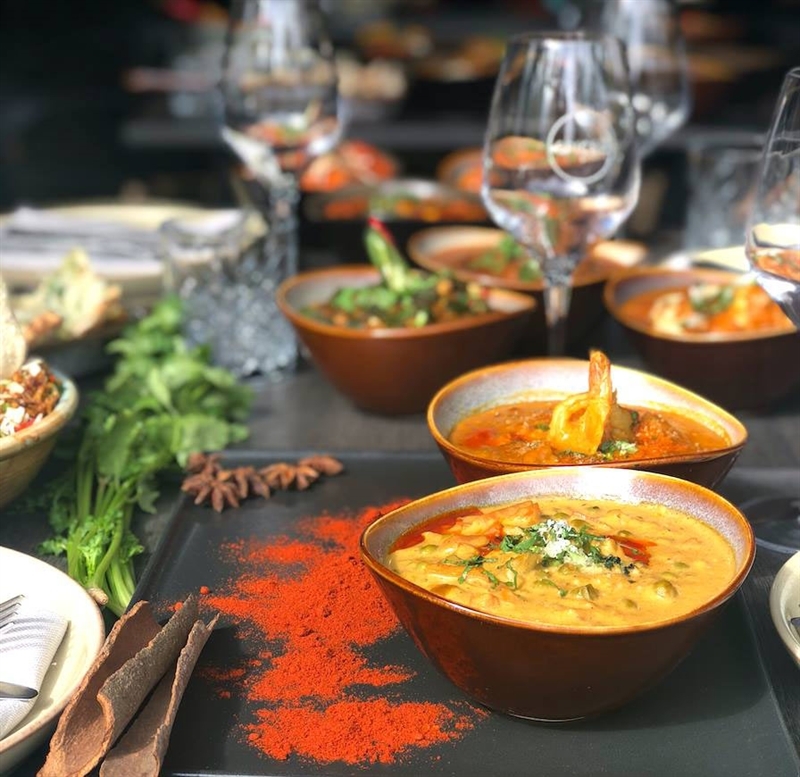 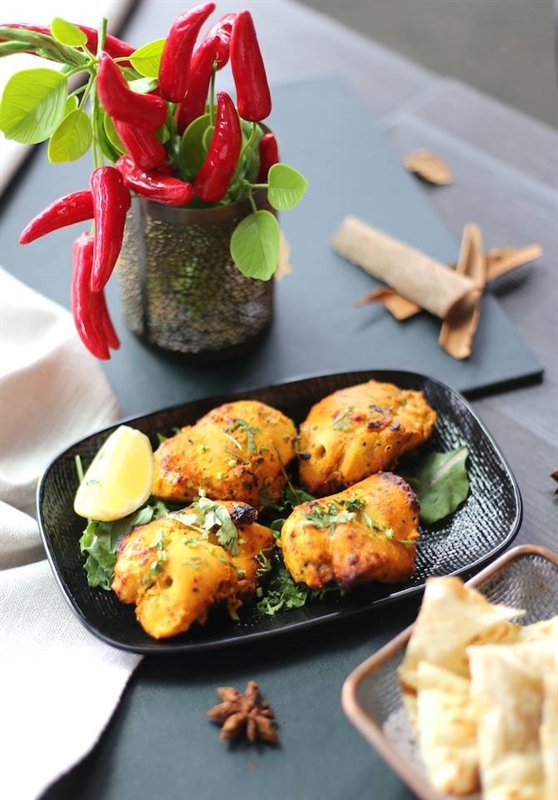 When sightseeing at picturesque Sydney Harbour, jump straight off the ferry and head to Spiced by Billus to experience modern Indian cuisine at Barangaroo. 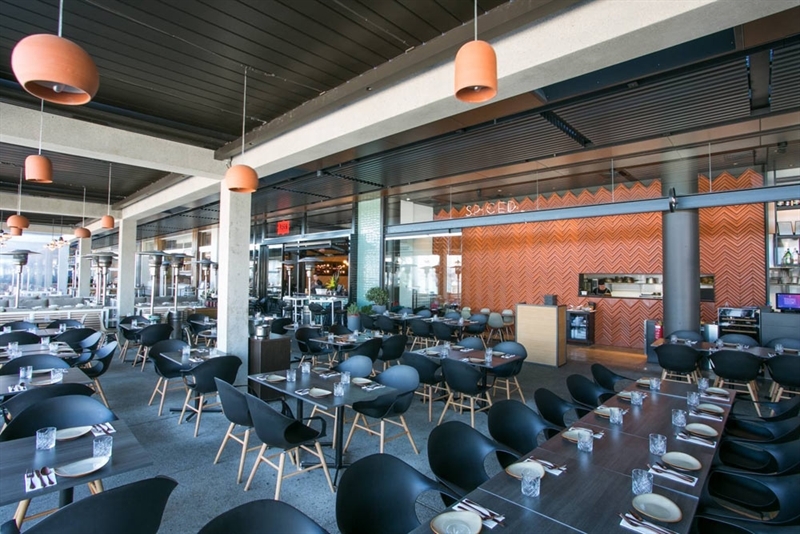 Step inside an extravagant interior with an uber contemporary fitout of polished concrete floors, high ceilings and moody colour palette of charcoals, which complement a geometric orange feature wall. 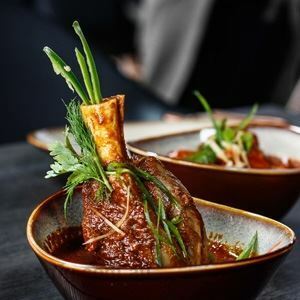 Offering an authentic menu, enticing crowds with flavoursome dishes to excite the senses, begin your taste journey with a plate of lamb cutlets marinated in saffron, fresh ginger, garlic and yoghurt, cooked in a clay oven. 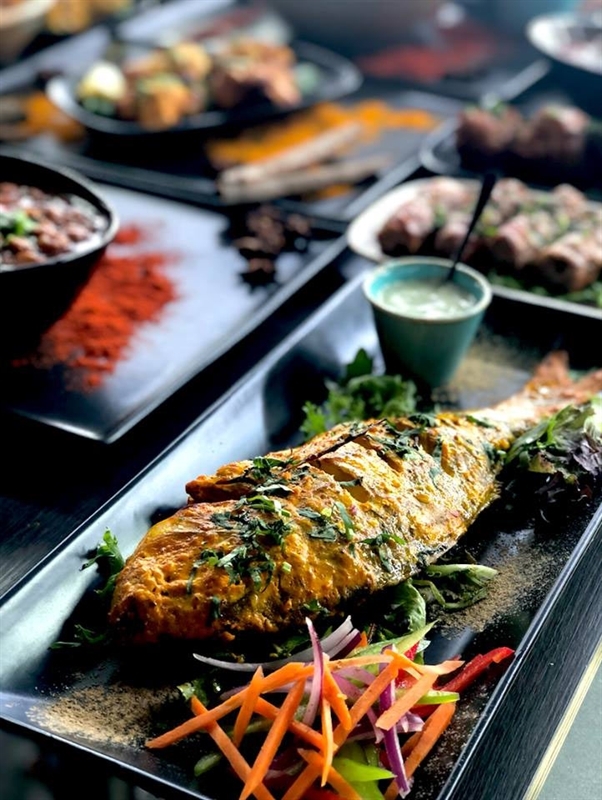 For the main affair, contemplate Kadhai diced chicken thigh fillet, capsicum, fresh tomatoes, ginger, chilli, fenugreek and spices; or delve into Chef’s special recipe of whole snapper, served with a side of fresh salad. 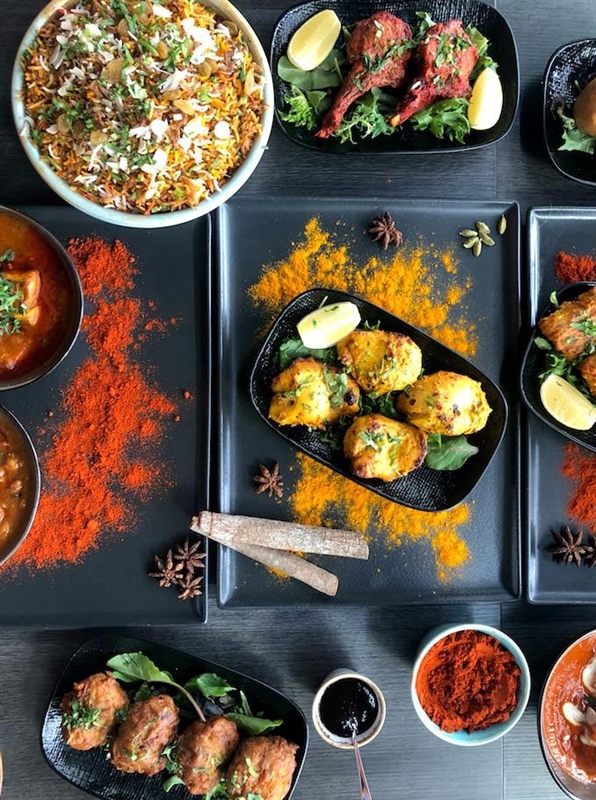 The Real Taste of India! 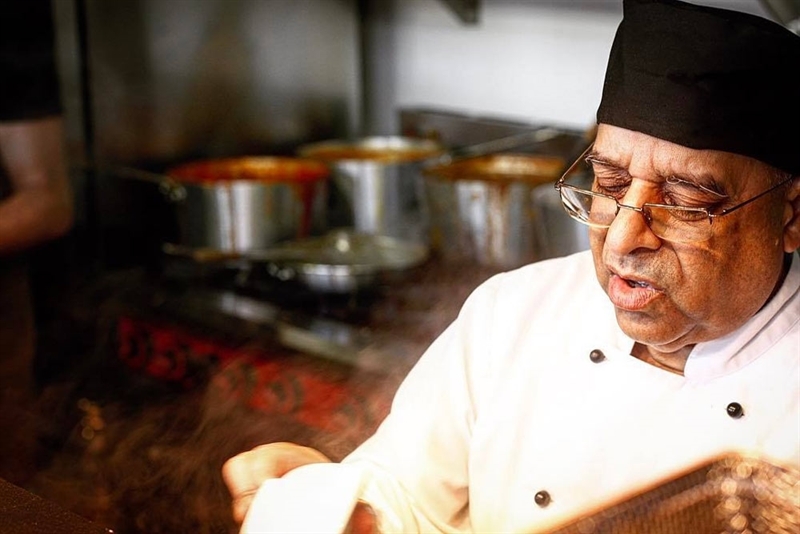 For over 25 years, Billu's, Harris Park, has catered for well travelled internationals and local foodies alike. 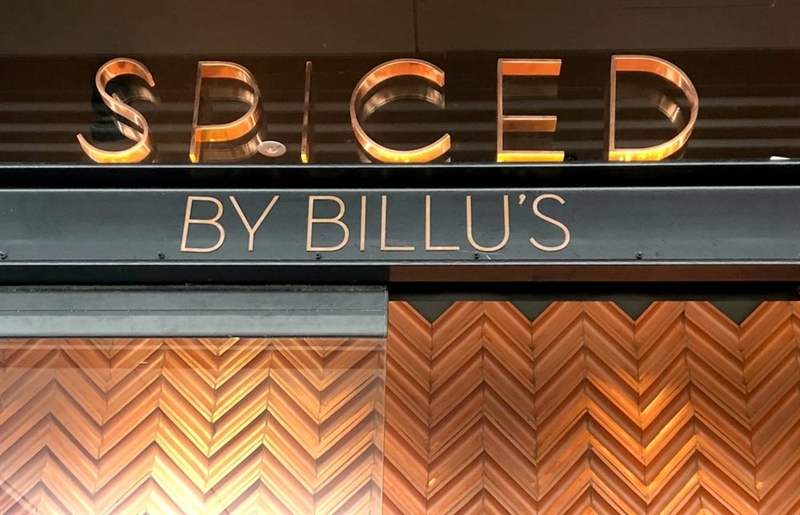 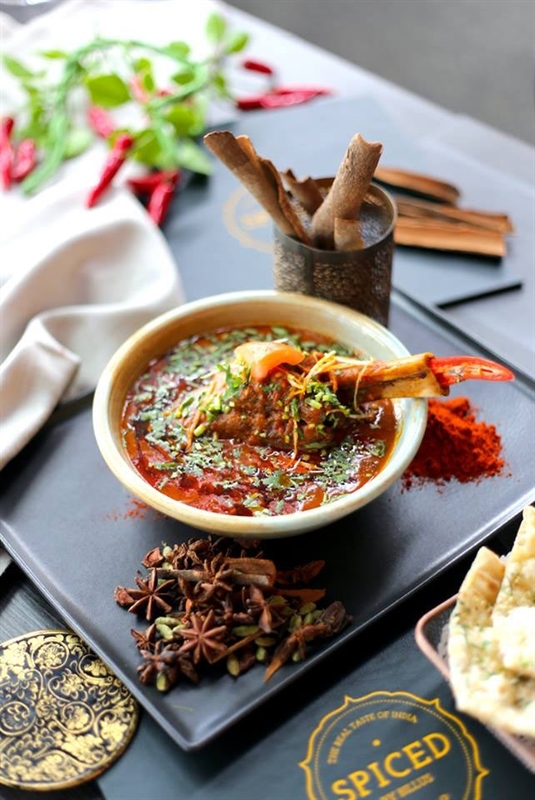 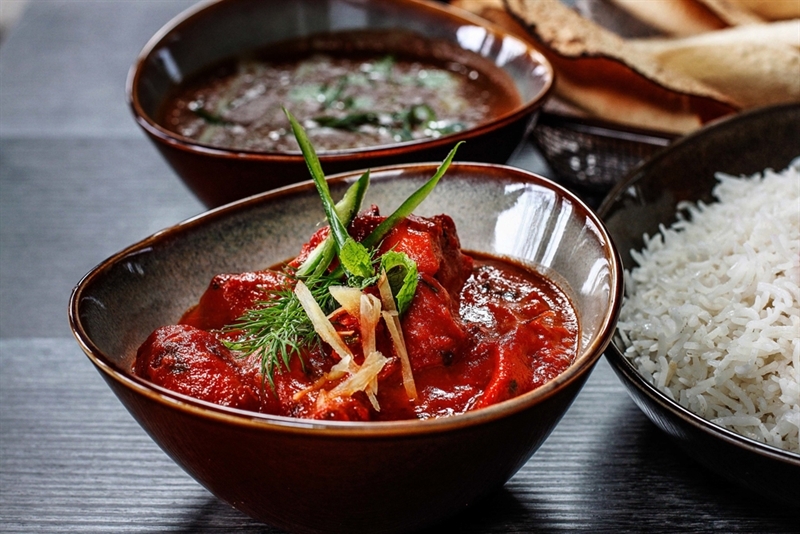 Now, at the newly developed Barangaroo, Spiced by Billu's brings authentic & colourful Indian cuisine to the CBD. 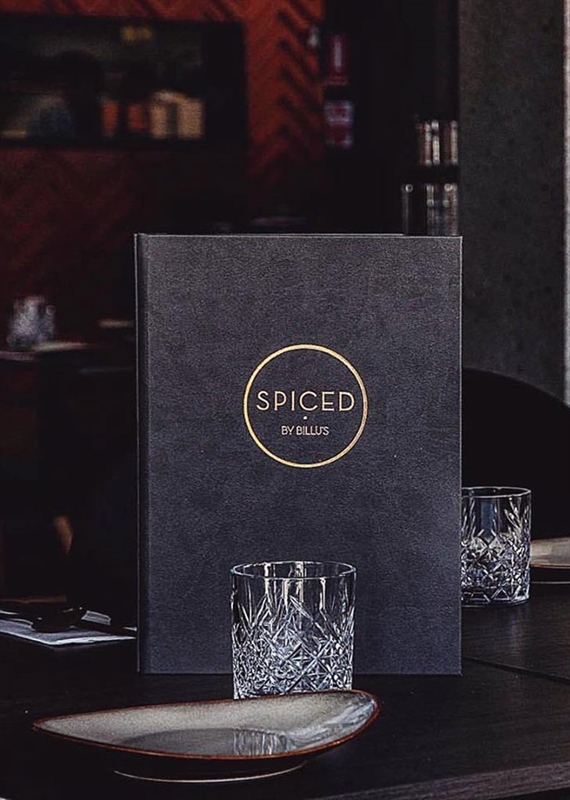 Contact us today with your enquiry! 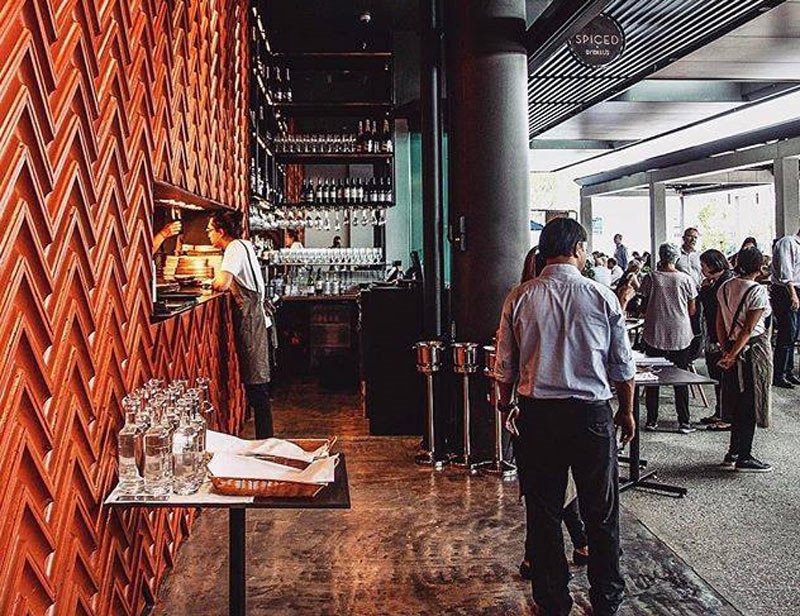 Join us for Happy Hour Monday to Sunday from 3pm-5pm and 12pm-4pm on Saturdays for $5 house wine and beer, with cocktails just $10. 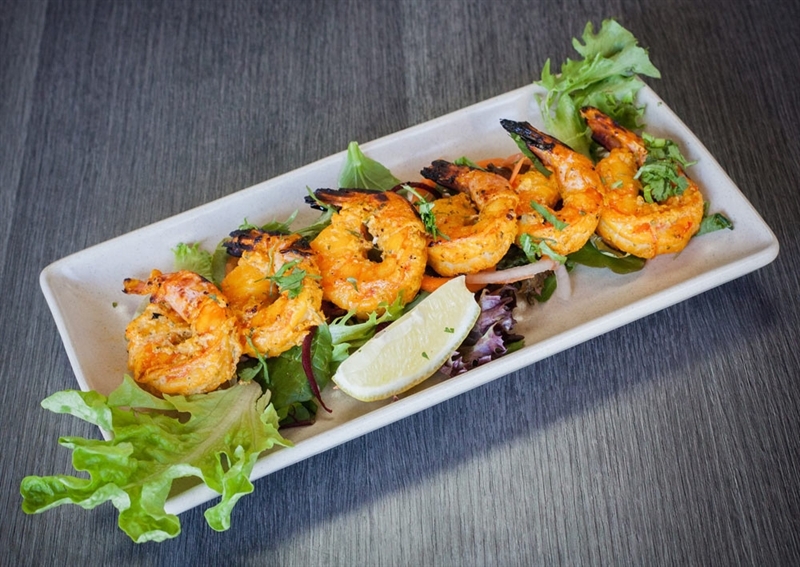 For more information, or to book your table call (02) 9046 0979.